PC version features improved graphics and extra content not present in the original Xbox release. Frame rate is capped at 30 FPS, though it can be fixed (see High frame rate). SecuROM 7 DRM disc check. 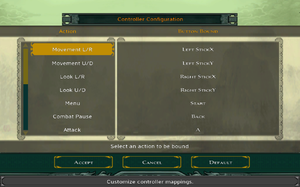 HUD is stretched, and some resolutions not listed: see Widescreen resolution. 2x or 4x FSAA can be set only in Configuration Utility. 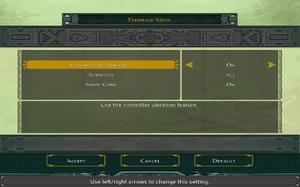 Higher values can be forced through graphics card control panel. For an alternate solution see Anti-aliasing (AA). 30 FPS cap; see High frame rate. 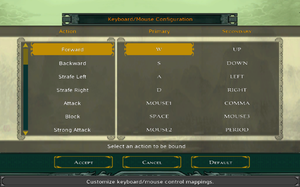 Set ScrW and ScrH to the resolution you want. Set FSAA=1, FSAA=2 or FSAA=3 to enable 2x, 4x or 8x anti-aliasing respectively. Using this fix will speed up the cloth physics, as well as the grass and cloud animations. Under section [Game] set clampFPS to 0 and save your changes. 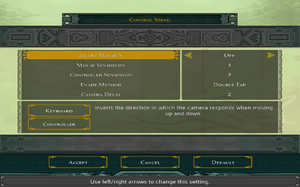 Unlike the original Xbox version, camera control rotates the player character, instead of rotating around the character like in a 3D platformer or 3D action game. Using right stick on 360 wireless controller for looking can be fixed. Not available on Steam, the language files available. 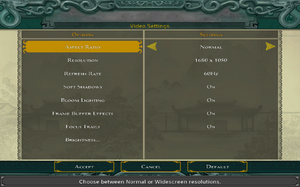 Find the start menu shortcut for Jade Empire, right click on it, then Properties. Select the Compatibility tab, then check 'Run this program in compatibility mode' and select 'Windows XP (Service Pack 2)', then check 'Run this program as an administrator' and then 'OK'. 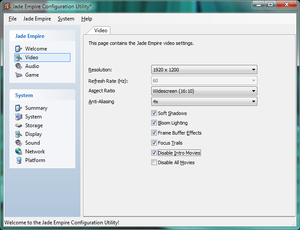 Locate the JadeEmpireConfig.exe file in the <path-to-game>. Set Windows Vista SP2 compatibility mode. Using Notepad, create a blank text file and name it SystemInformation.xml. Copy the Steam.dll file from the <Steam-folder> into the <path-to-game>. This will effectively bypass the config tool which should allow you to launch the game. When your PC has been up for a while (at least a week) or you use W8/10 (Fast Boot), the game will continually stutter regardless of the framerate, hardware capability, or OS. The game sets its pacing by using the Windows API QueryPerformanceCounter that returns a monotonically increasing total count of CPU cycles since boot. When it gets past 2^40, the game becomes unplayable. At that point, the only option is to reboot the computer. 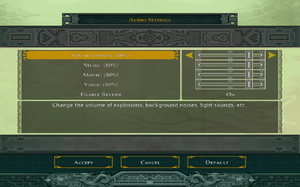 Go to Jade Empire Stutter Fix and select the latest zip file to download. 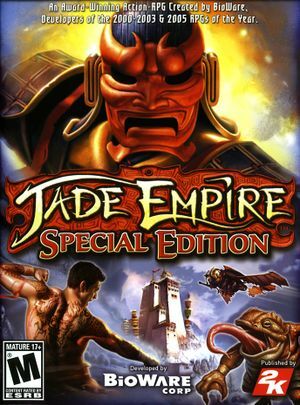 Download the archive, extract it, and put the d3d9.dll file in the same folder as the Jade Empire executable. The fix allows the game to count cycles from when the game itself was started. If the problem occurs (perhaps because you leave the game running for a week), you need only exit and restart the game. ↑ 2.0 2.1 File/folder structure within this directory reflects the path(s) listed for Windows and/or Steam game data (use Wine regedit to access Windows registry paths). Games with Steam Cloud support may store data in ~/.steam/steam/userdata/<user-id>/7110/ in addition to or instead of this directory. The app ID (7110) may differ in some cases. Treat backslashes as forward slashes. See the glossary page for details.